We love our new topic! The children have made a fantastic start to this half term. They have shown great enthusiasm for our new topic 'Can we build it?'. Our focus for the next 2 weeks is one of our favourite stories 'The Three Billy Goats Gruff'. The children have enjoyed reading the story, watching it on the interactive whiteboard and role-playing using puppets of characters from the book. We have also acted out the story on using the bridge on our climbing frame outside. Mr Fisher has also enjoyed playing the part of the 'Troll'. We have focused on language related to size this week. We have noticed in 'The Three Billy Goats Gruff' there is a big, medium and small billy goat. We have been categorising a range of objects within our classroom by size and height. The children are becoming very confident using language such as 'tall', 'short', 'big', 'medium size', 'small', 'little'. Take a look at some of the activities we have completed linked to size ordering. We have enjoyed ordering small world animals and cutting out fruit pictures and ordering these by size. The Elmers are very lucky this half term. On a Thursday afternoon we are being taught dance by a lovely lady called Amy. 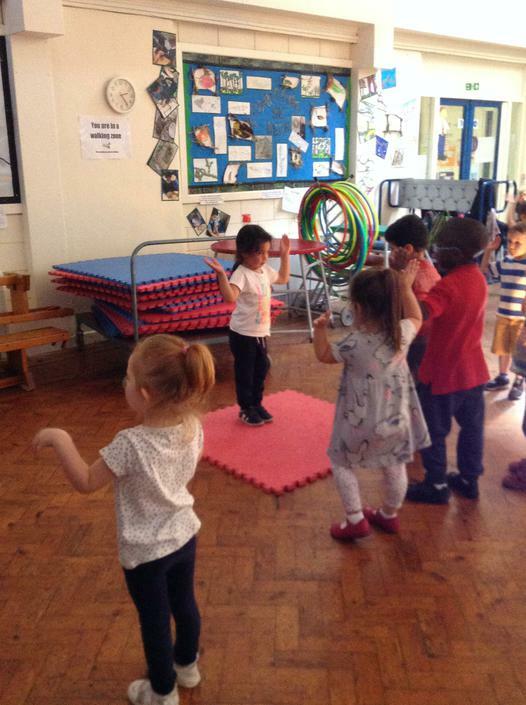 Last week we enjoyed some fun dancing activities. 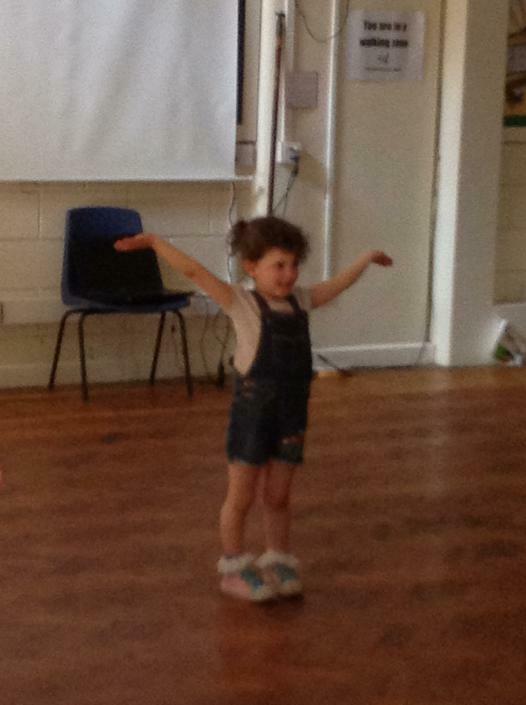 This included dancing to one of our favourite songs 'Gummy Bear'. Lots of of us chose to get up 'on the stage' and show our amazing moves. We have all been so impressed by the improved confidence of many of our children. Lots of the Elmers are displaying a strong 'can-do' attitude and keen desire to get involved. Today we have enjoyed even more dancing with Amy. 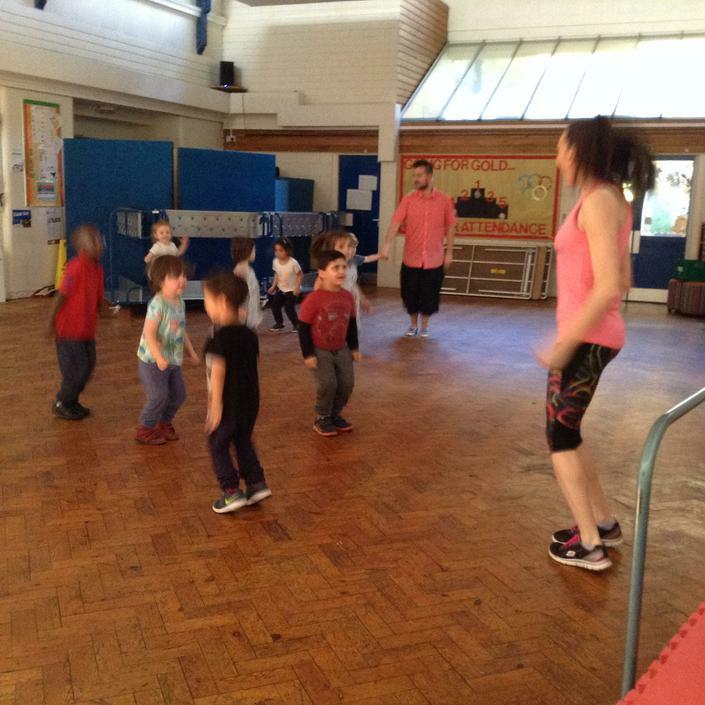 We are loving the exercise and we are having great fun! We have been so impressed with the children's behaviour. Our older children have been supporting our very new younger children to follow our routines at Nursery too. The Elmers have loved exploring outdoors this week. We have accessed our Forest School and played lots in our outdoor area. Take a look at some of the photos of all of us learning lots outdoors! The Elmers have enjoyed counting activities this week. We have had a number of activities out within our provision to support our counting skills. Lots of the children have enjoyed playing with numicon and working with an adult to practise our counting. We have also enjoyed some shape related tasks, such as shape threading and building with coloured shape blocks. We have also enjoyed counting in different ways using videos on the Interactive White Board. It's been a great week!